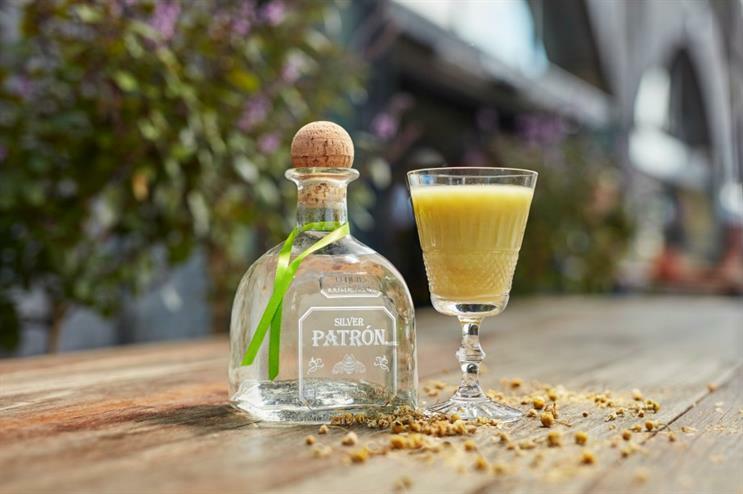 Patrón Tequila is bringing together seven award-winning international bartenders from Miami to Münich to serve curated cocktails inspired by their city at the Patrón Cocktail Lab. The lab, taking place during London Cocktail Week (LCW) which runs from 3-9 October, will be located in Spitalfields Market and feature an elegant yet relaxing space where some of the world’s best bartenders will host a guest shift as well as unique masterclasses demonstrating the art of their craft. Bartenders include Gui Jaroschy from Broken Shaker in Miami, Jose Luis Leon Martinez of Limantour in Mexico City and Little Red Door’s Remy Savage from Paris. Jose Luis Leon from Limantour will be serving up a Chipotle Punch with a kick; Philip Bischoff from Singapore’s Manhattan Bar will be offering those with a sweet tooth a fruity Señor Sling, a twist on the classic Singapore Sling; and Cihan Anadologlu will concoct a citrus and herbal, autumnal drink with his Mexican creation. Alongside each of the bartender’s bespoke creations, the Patrón Cocktail Lab will offer its signature serves of Patrónic (Patrón Silver Tequila with tonic and a slice of orange peel) and its Perfect Patrón Margarita (Patrón Reposado, Patrón Citrónge Orange Liqueur and lime) every day throughout LCW. Matthew Sykes, director of international marketing for Patrón Spirits International, said: "People can be intimidated by cocktail menus and are perhaps nervous to experiment. At Patrón Cocktail Lab, we are using some of the best bartenders from around the globe to help advise people on unique cocktails and how to make them at home. We want to bring the exciting cocktail culture and experience to everyone and, more than anything, showcase how versatile tequila and, of course, Patrón can be." The lab will also have a presence online, with the aim of inspiring people with new and interesting ways to enjoy Patrón tequila with cocktail recommendations based on the flavours they like, in serves that can be easily recreated at home. Read our interview with Lee Applbaum, global chief marketing officer of The Patron Spirits Company, who talks about the tequila brand's global marketing strategies. Bacardi-Martini brought in agency Five by Five earlier this year to deliver its UK on and off trade activation strategy for Patrón.